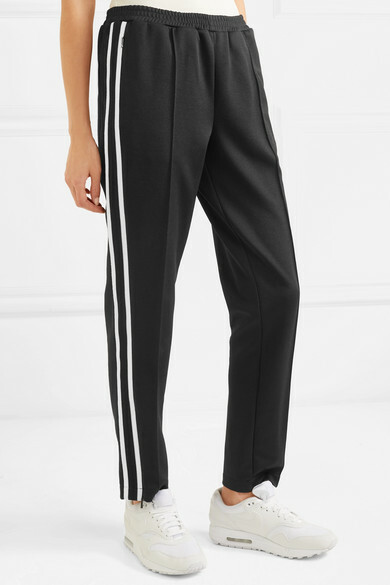 Moncler's track pants have been made in Italy from black jersey and trimmed with cream side stripes. 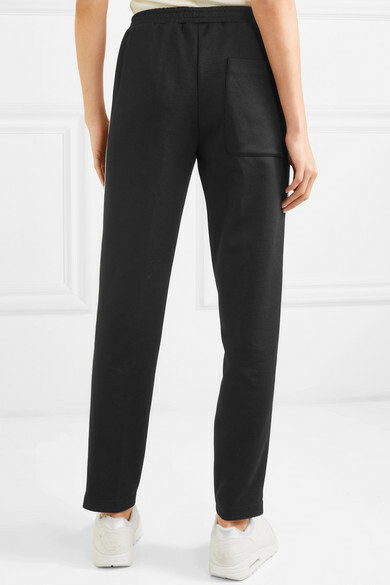 They have a slim tapered silhouette with zipped cuffs that allow you to relax the shape a little. 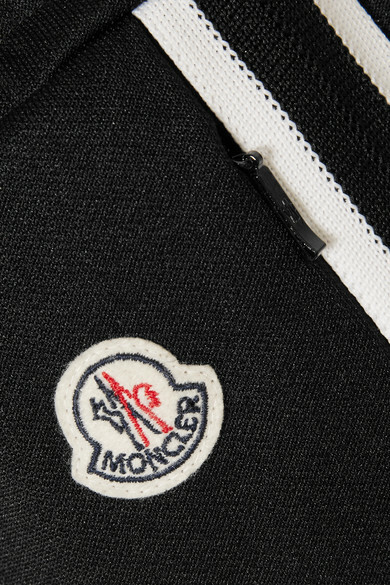 Wear them with sneakers and one of the brand's signature puffers. 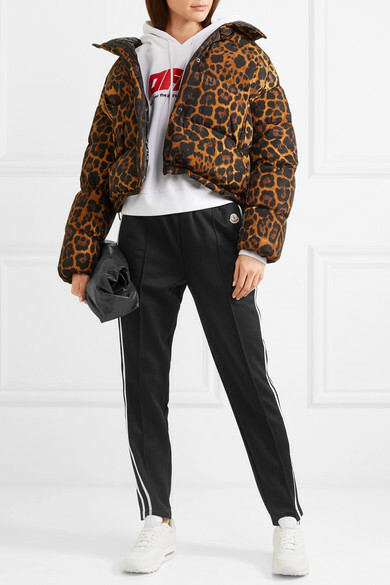 Shown here with: Moncler Jacket, Off-White Hooded top, SIMON MILLER Clutch, Nike Sneakers.